"We think you're really going to love it." 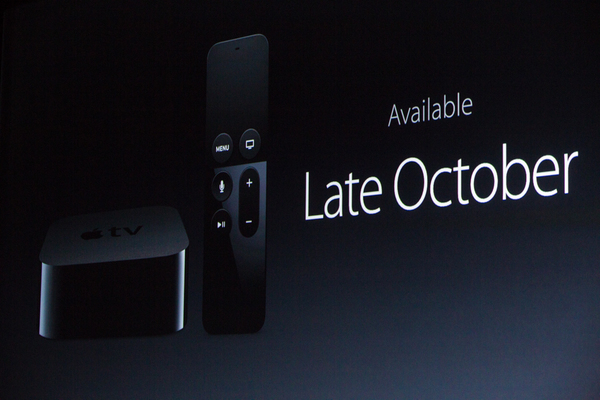 So: Late October for Apple TV. $149/$199 for 32/64GB models. 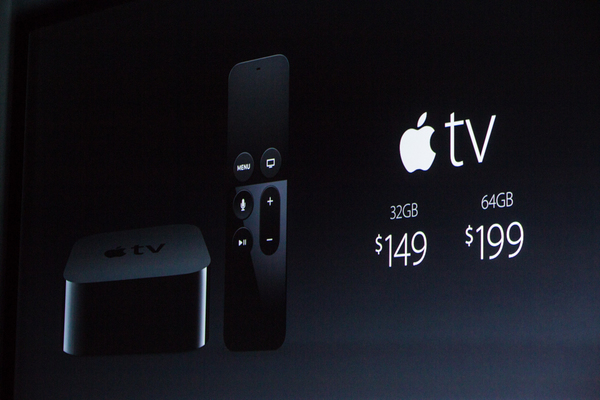 "this is the future of television, coming now. 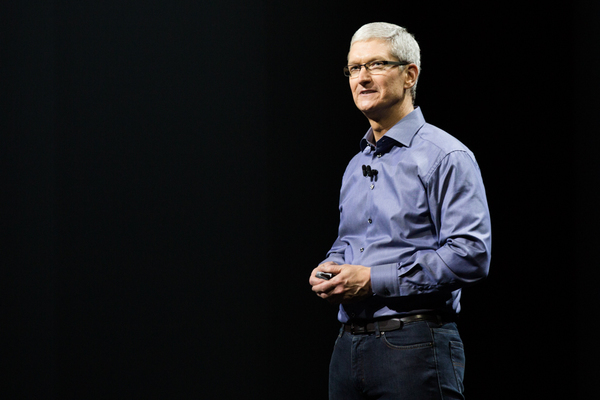 "iPhone has been embraced by customers around the world, and it's growing by leaps and bounds, not only in the United States but in all corners of the planet." 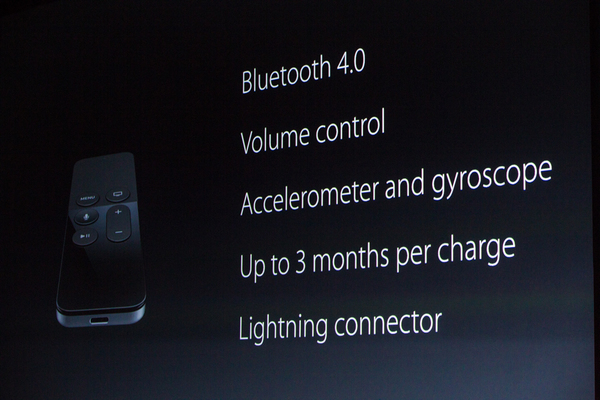 "grew at 3.5X the rest of the industry last quarter." 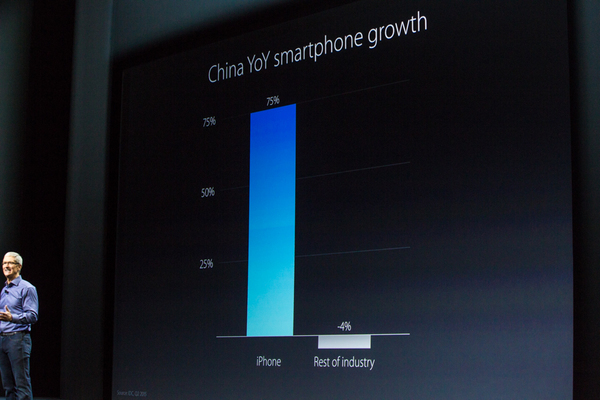 "In China, it's even more incredible. 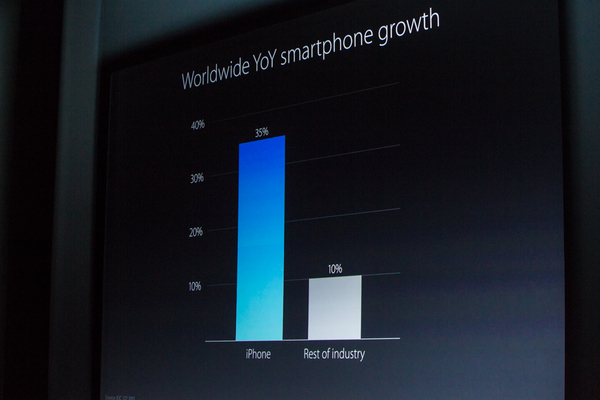 iPhone grew a stunning 75% versus the rest of the industry in decline." 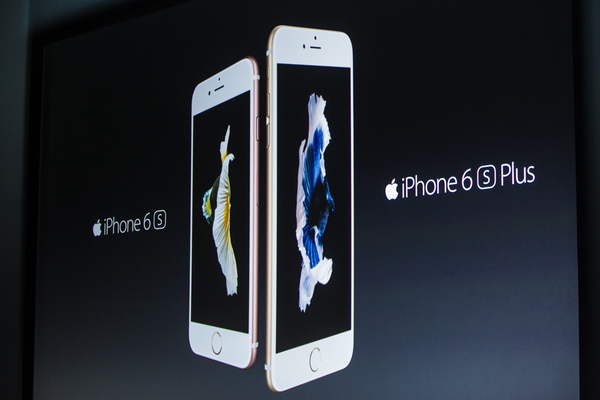 "iPhone 6 and iPhone 6 Plus have been truly amazing." "iPhone 6 is the most popular iPhone ever. 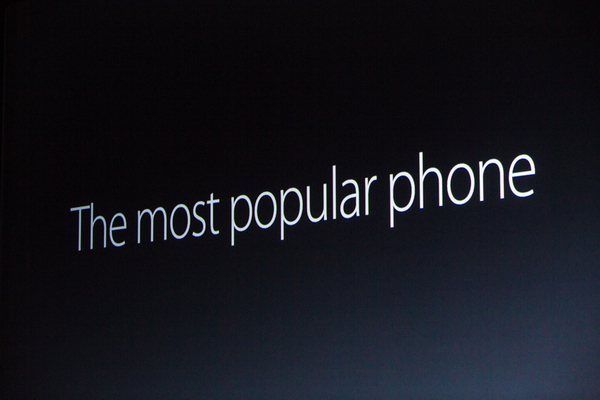 In fact these are the most popular phones in the world." "So how do you follow a success like this? I've gotten that question a few times. I am trhilled to show you the newest iPhones." starting with motion background wallpaper, like on Apple Watch. iPhones look the same body-wise. 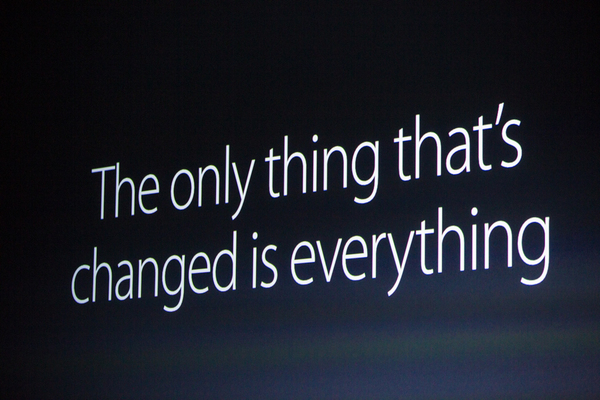 "We are driven to innovate at Apple. You've seen that all morning. 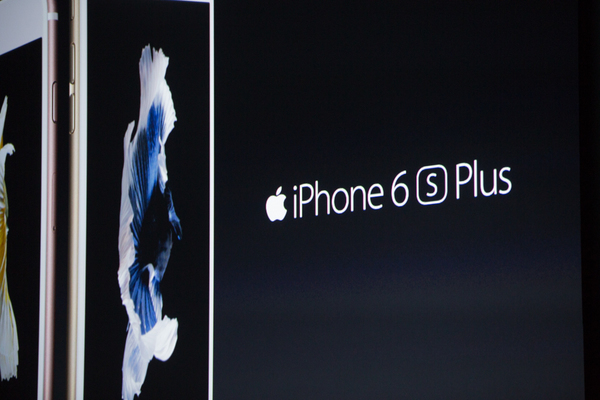 And no product is more about innovation than the iPhone." 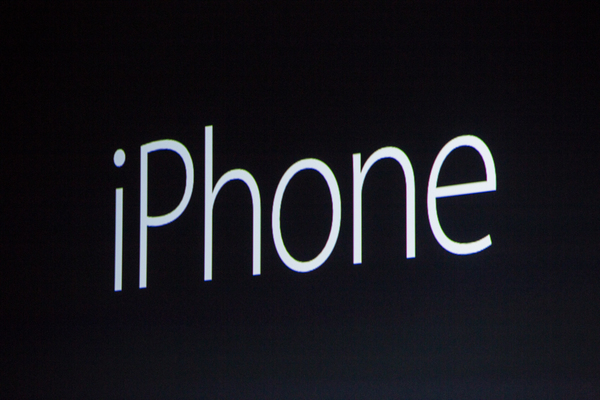 "From the very start, the iPhone has been about bringing innovations that are really important in peoples' lives. As a result, iPhone has changed the world." "What we have to show you today is really awesome. 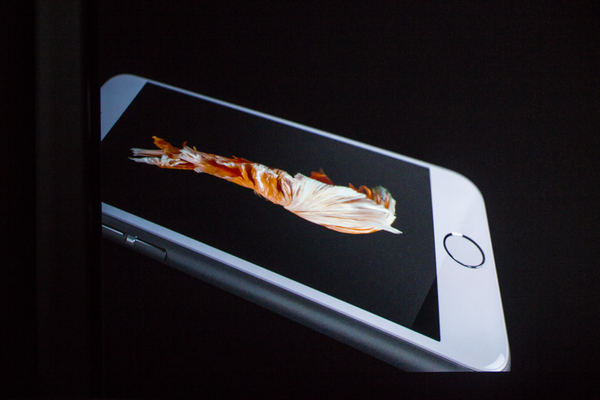 While they may look familiar, we have changed everything about these new iPhones." "The team has worked incredibly hard to deliver new capabilties that are truly meaningful in our lives." "The iPhones you're about to see are the most advanced iPhones ever. In fact, they're the most advanced smartphones in the world."